The Hay Creek Trail is a 5.25 mile assault/concrete recreational trail which meanders through the Hay Creek Corridor. Proposed extensions to this trail will add another 3.5 miles over the next three years. The trail winds through a native creek area enhanced by environmental management practices, which preserve the natural stream bed and provide storm water management. The trail weaves through both residential and commercial developments in eastern Bismarck, as it is "connecting people to places" - our recreational trail development theme. 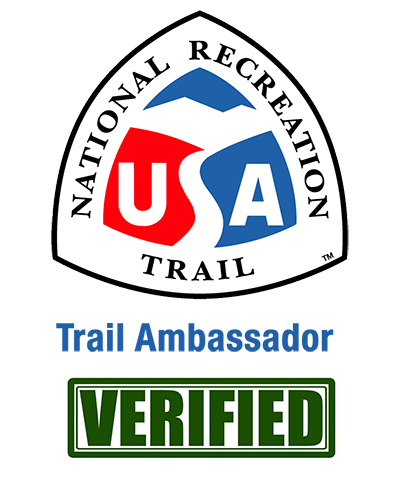 The Hay Creek Trail allows users access to recreational, educational, and environmental experiences along its path. Along the Hay Creek Trail, users have access to: Pebble Creek Golf Course, a 9-hole, 35 par, natural links course; the Fore Seasons Center has a 31-station, indoor driving range that serves as a center for golf, soccer, and football; the newly developed junior links course and practice area; Sleepy Hollow Arts; as well as a mountain bike trail, picnic shelter, playgrounds, and an outdoor wildlife learning center. The North Dakota Game and Fish Dept. 's Outdoor Wildlife Learning Site provides youth with an experiential learning environment promoting the outdoors' wonders and includes a fishing pond. This site will serve as a trailhead for the Hay Creek Trail, with connection to other trail development. Buckstop Junction, a 20-acre historic town, contains buildings of the late 1800s and early 1900s, a mine camp and the Missouri Valley Fairgrounds. The trail has lots of different access points which makes it really nice. North part of trail is a nicer walk as there is less development. Could use a few more benches to stop and enjoy scenery.